Construction of the Dakota Access Pipeline (DAPL) has demonstrated to the world how U.S. oil interests and government co-conspirators will let nothing stand in their way to reap billions from the continued exploitation of fossil fuels. In securing the route for their 30-inch pipeline, Energy Transfer Partners has stolen land from private landowners through eminent domain, bulldozed their way through ancient Native American burial grounds, put hundreds of waterbodies at risk and is threatening the Missouri River water source of the Standing Rock Sioux tribe. The tribe has fought to defend their water rights and sacred grounds from assault by corporate interests and governments salivating at the promised tax revenue, but have been defeated at almost every turn. Immense protests of Native Americans, and those standing in solidarity, have been met with private mercenaries and vicious attack dogs, cops carrying protesters off to jail, and even the National Guard. The protests have drawn national and international attention, as DAPL represents the latest event in a long history of abusing the rights and property of Native Americans. Just last week, more than 1,200 archeologists, museum directors, and historians penned a letter to President Obama denouncing the deliberate destruction of Standing Rock Sioux ancient burial grounds. However, this is a dangerously misleading statement. 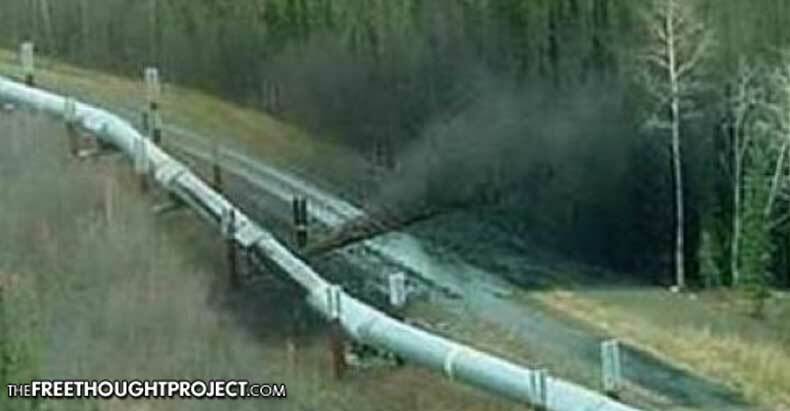 Yes, the frequency of pipeline spills are less than the frequency of rail or truck spills, but pipelines spill more oil. In fact, U.S. pipelines spilled three times as much crude oil as trains over an eight-year period, according to the International Energy Agency. Spills are often located in remote regions, in or near sensitive environmental areas and sources of drinking water. They can be more difficult to contain and can leak for longer periods before being contained. 800,000 gallons of tar sands crude oil spilled into the Kalamazoo River in Michigan in 2010, and it took four years to clean up. More than 40,000 gallons of oil from the Bakken fields – the same fields DAPL will serve – spilled into the Yellowstone River in Montana in 2015, poisoning the drinking water of the town of Glendive.